Let’s help each other out by sharing our recommendations for rheumatologists, with their name, hospital, and location please. I’ve been seeing Dr. Kunz for over a year now. He has referred me to other doctors to help me with my numerous other problems. He listens and does his very best to help. He has tried over 7 different meds. Right now I’m on the last which is low dose of Lyrica and low dose of Savella. He understands Fibro patients have med tolerances. Wish me luck with Lyrica and Savella. Philadelphia PA, Thomas Jefferson University Hospital Oscar Irigoyen, MD Chairman of Department of Rheumatology. HE LISTENS!! I've been his patient for several years. He hit the dx on the first appointment. Very soft spoken and the right guy to handle this stuff. Does anyone know of a Dr. or Rheumatologist w/in 100 miles of Montgomery AL who treats FM? I have been seeing one of the 2 only Rheumatologists in Montgomery for about 3 years now and even though they diagnosed me for FM, neither one of them believes in the condition, nor will they treat it. I've been calling around to other offices out of town but every office I speak to tells me they don't treat FM patients there. I'm going to go so my GP next week and hopefully he will have an answer for me, but I would feel a lot better if I were getting the recommendations from the actual patients. PORTLAND OREGON - DR GENEVRA LIPTAN - It took a long time to find her. I live outside of Portland, but would drive to the ends of the earth to see this woman. She has fibromyalgia herself. She is the author of a great book. 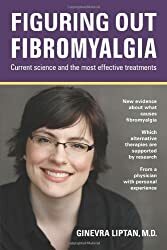 You can see her at The Frida Center For Fibromyalgia. I highly recommend Dr. Kuzis. She diagnosed me when I had no idea what was wrong. She listens and is always willing to bounce ideas and listen to my problems. We've worked together over several years to find meds and activity levels that help and don't hurt. I'm doing much better today because of her. I hope this doesn't sound like one of those fake gushing YELP reviews. It's not. I had a good, understanding rheumatologist in Michigan before I moved to California, but he only treated me for Polymyalgia Rheumatica and never recognized when it had tipped over into FM. Dr. Kuzis really listened to my issues. I hope all of you find a doctor with whom you can work towards the best life you can have. While some one knows vwhat I go through every day.